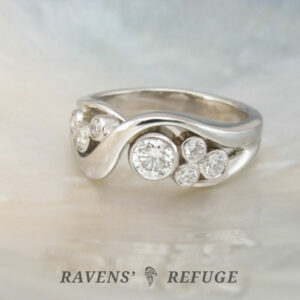 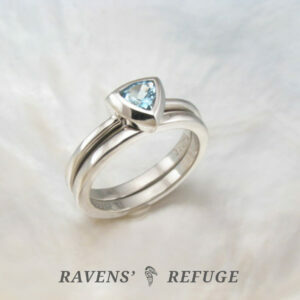 View Cart “handmade bypass engagement ring – swirl diamond ring” has been added to your cart. 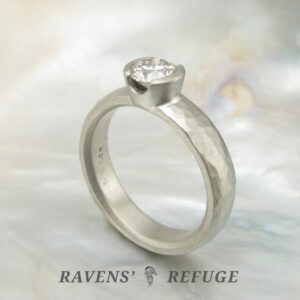 Here is a gorgeous .35 carat diamond, SI/G quality, GIA certified, expertly bezel set in 14k white gold. 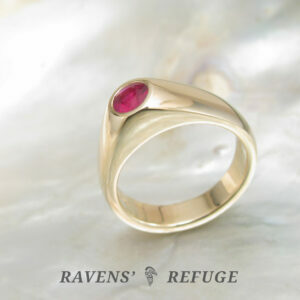 This ring is entirely hand forged — from the bezel to the shank to the accents — the art of which is exceedingly rare these days. 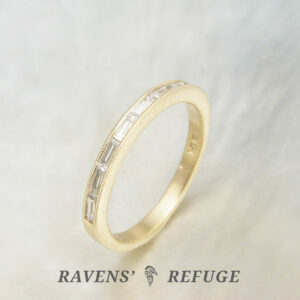 The shank of the band is 6mm wide and finished with a comfort fit profile. 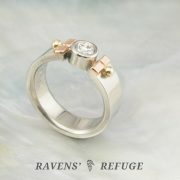 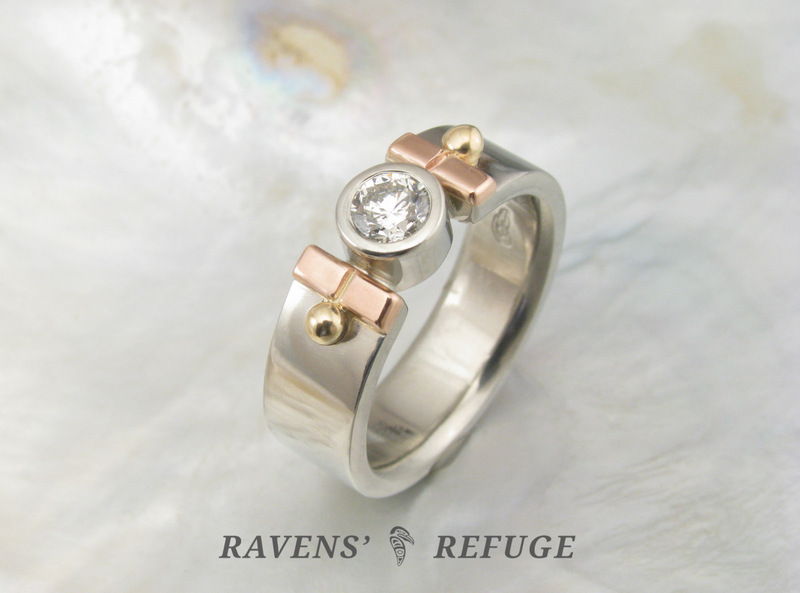 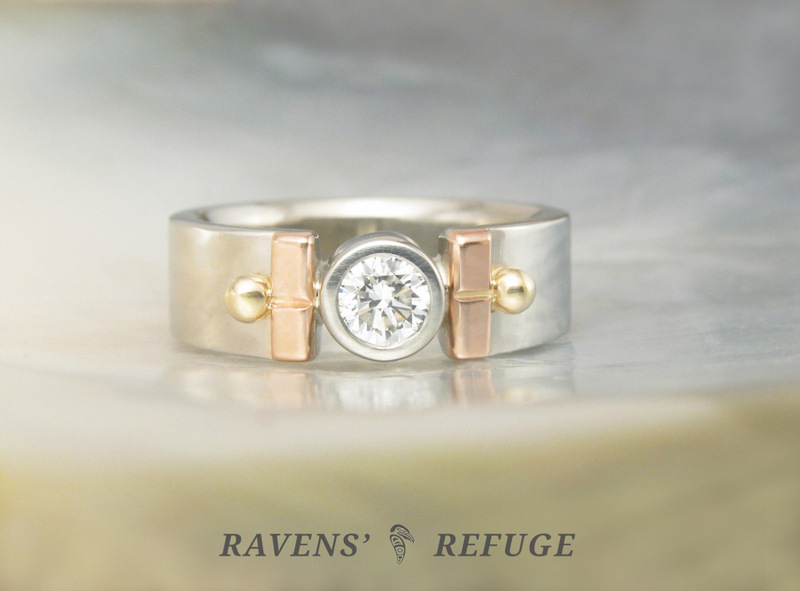 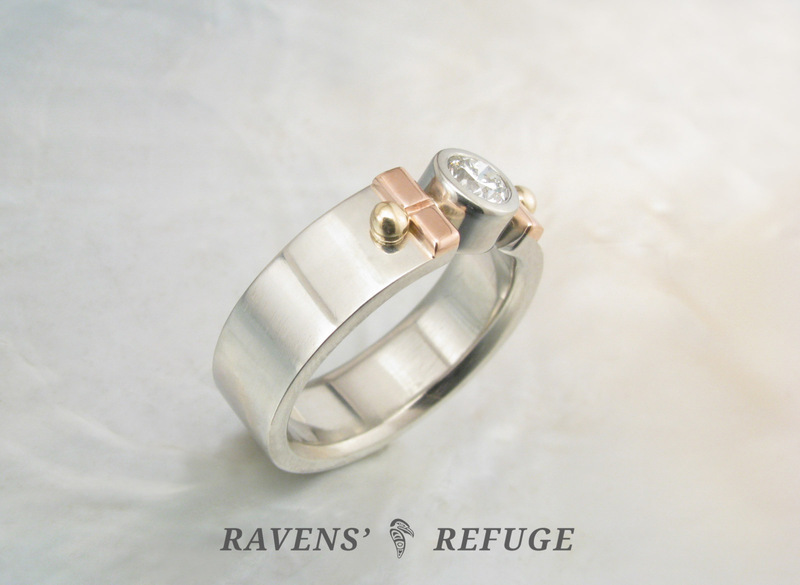 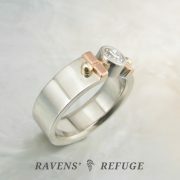 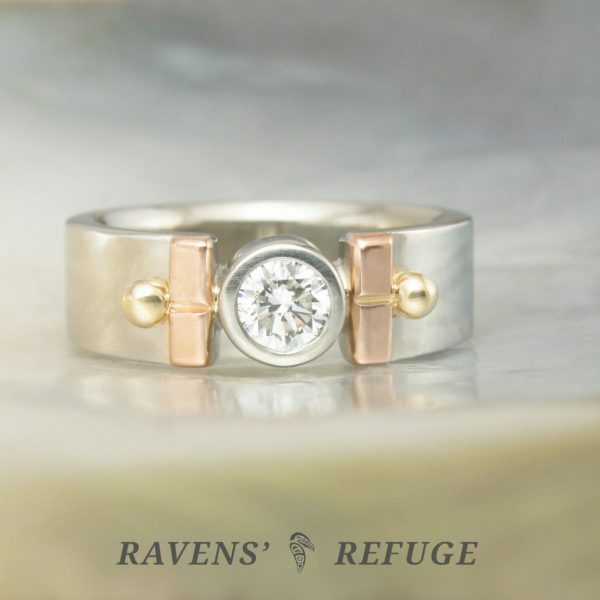 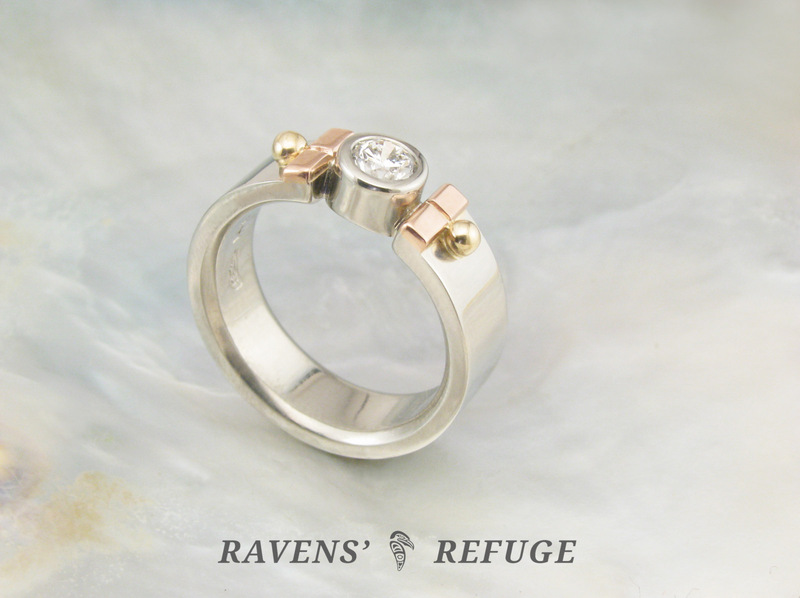 Dan has accented the setting with 14k rose gold rectangles and 14k yellow gold balls.